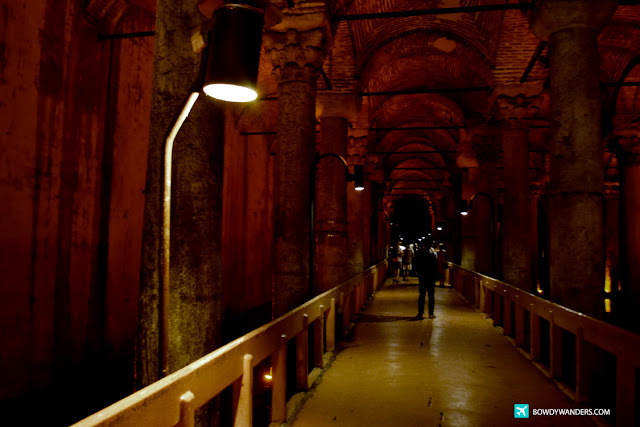 I am glad I know about Dan Brown's book, because much to my delight, Istanbul has this travel gem known as the Basilica Cistern, which can also be found in the Mr. Brown's book-turned-movie, Inferno. 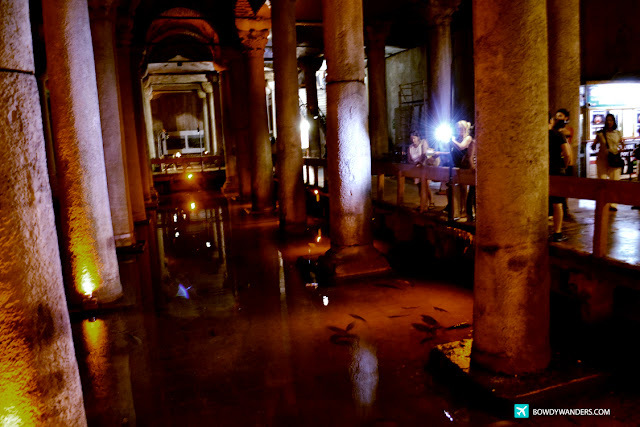 Tom Hanks, you are so cool for going underground and swimming in this red-lit historical water-filled place. 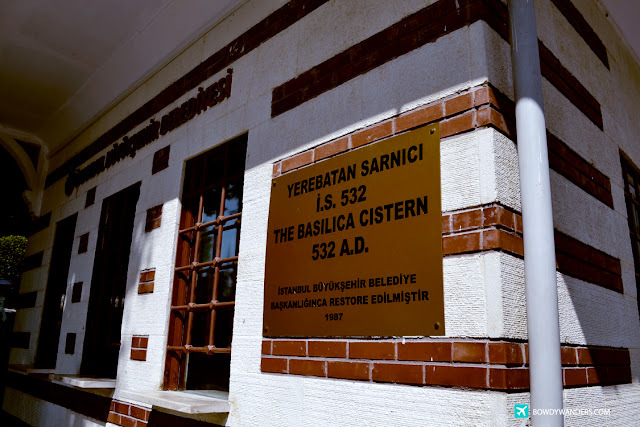 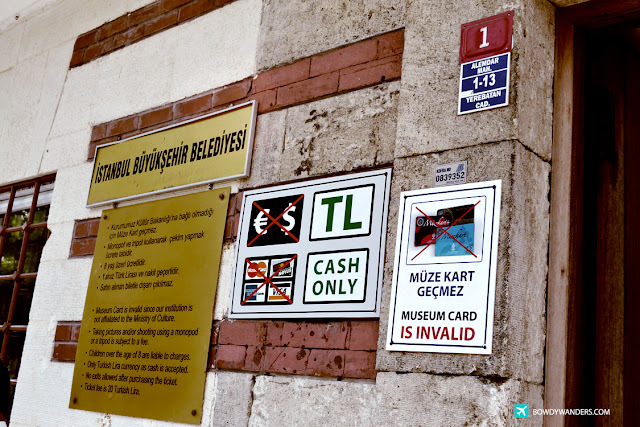 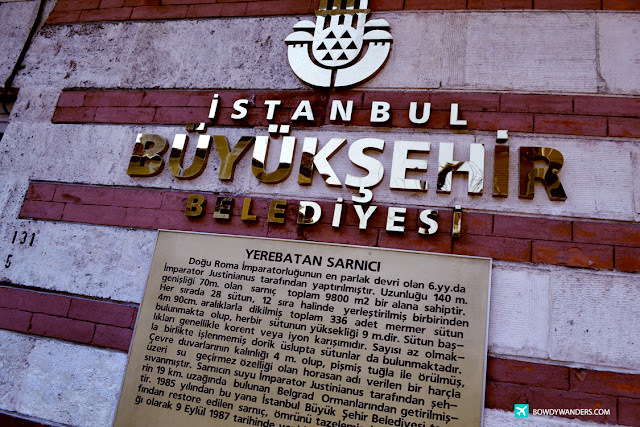 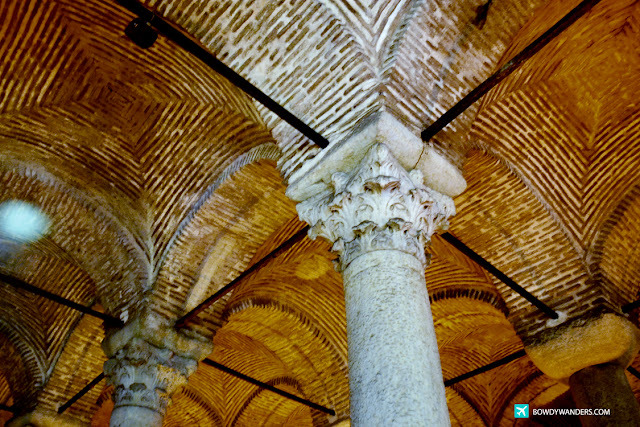 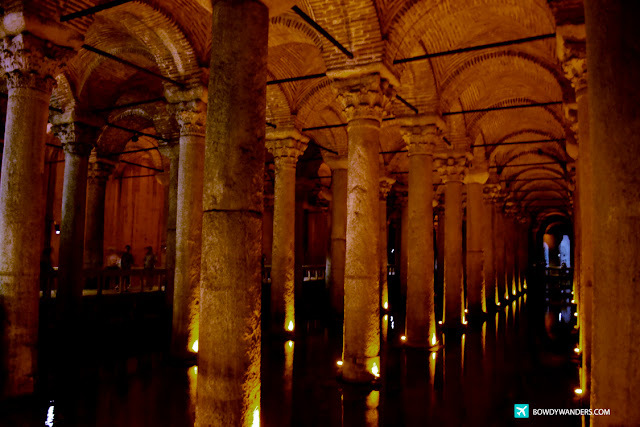 Turkey is home to the Yerebatan Sarnıcı – "Cistern Sinking Into Ground", which is the largest of several hundred ancient cisterns that lie beneath the city of Constantinople (now known as Istanbul). 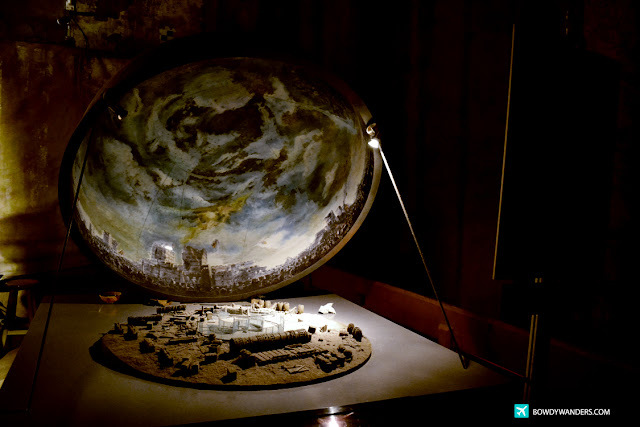 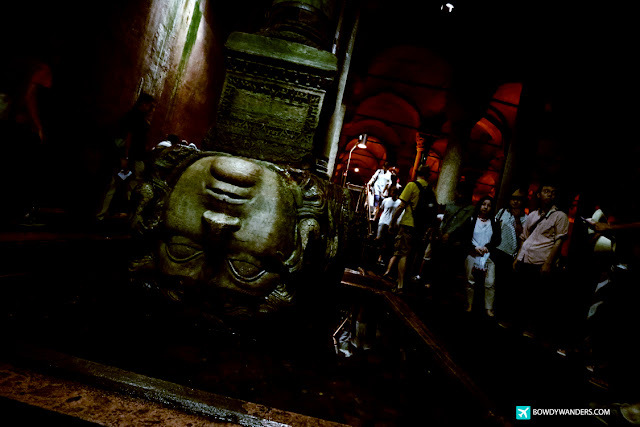 You certainly would not want to miss this, especially if you are a Dan Brown fan like me. 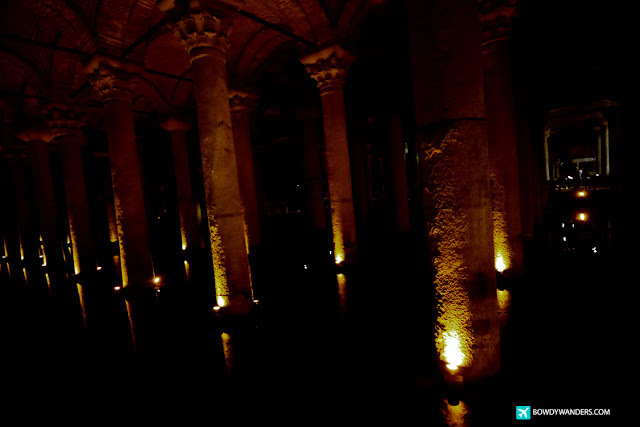 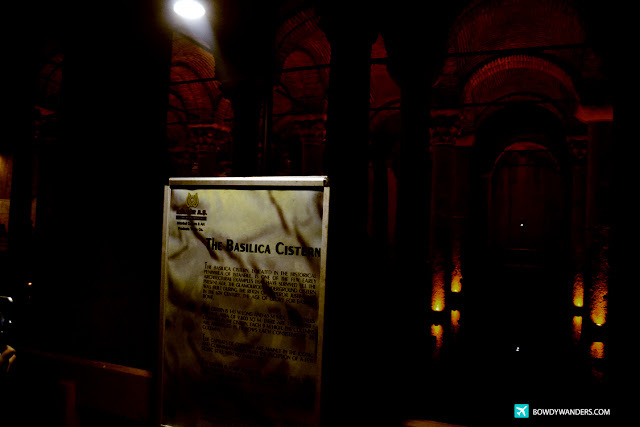 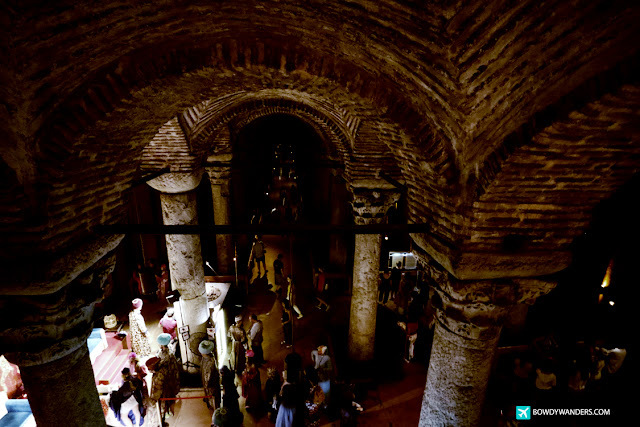 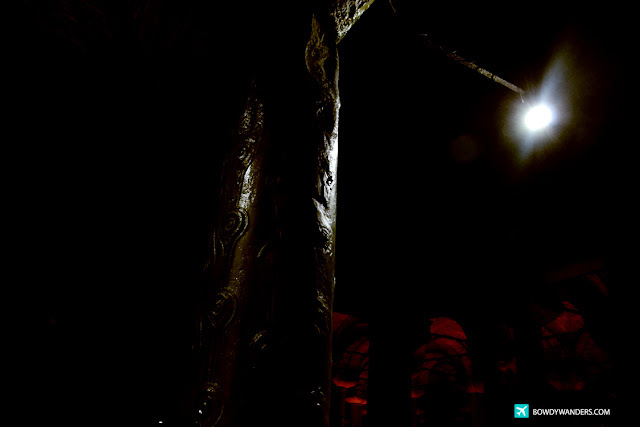 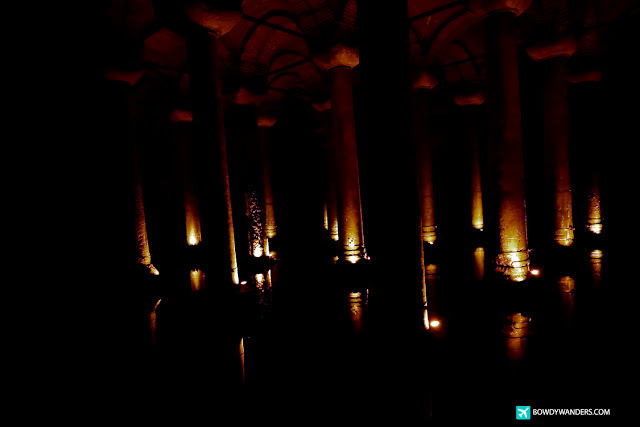 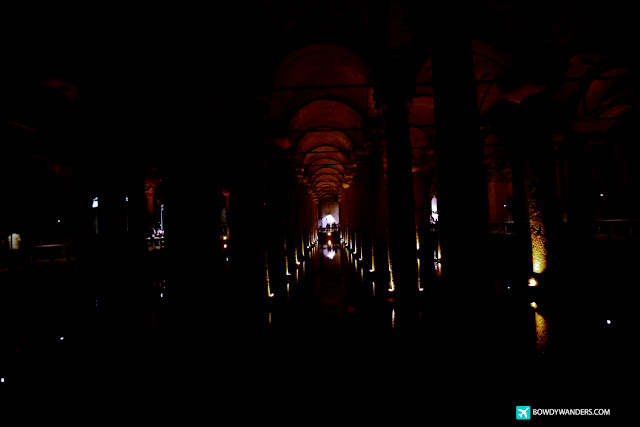 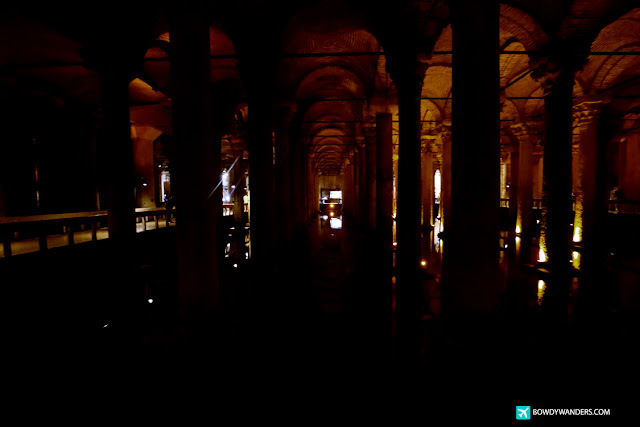 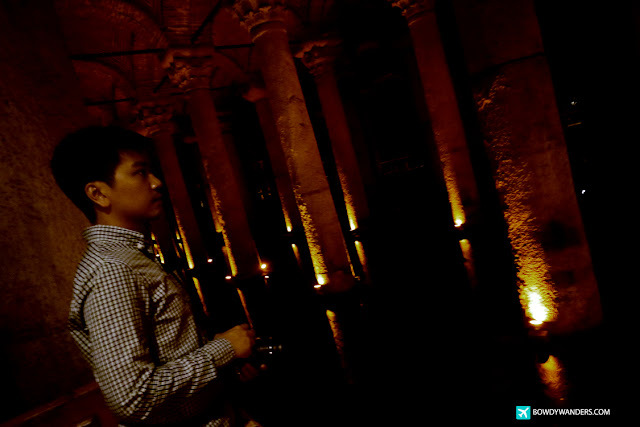 Just below a large public square Stoa Basilica, and a few blocks away from Hagia Sophia, this old subterranean structure known as the Basilica Cistern by Emperor Justinian, was reconstructed by Illus after a fire in 500++ AD. 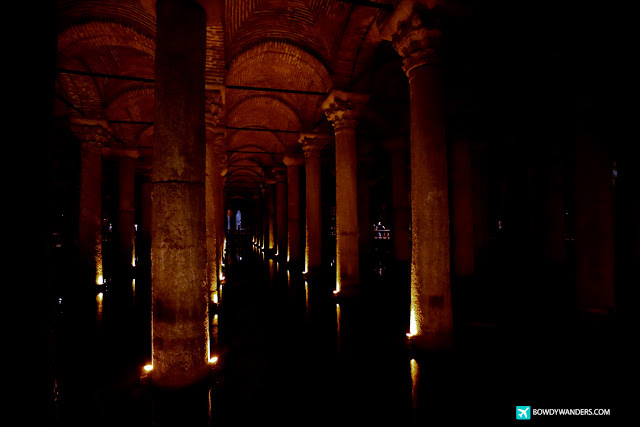 History says that 7,000 slaves were involved in the construction of the cistern, and it was rediscovered by Frenchman Petrus Gyllius in 1545, when he found locals selling very fresh fish in the nearby streets, because their houses were located just above it and they had sunk wells into it and sometimes caught fishes from it. 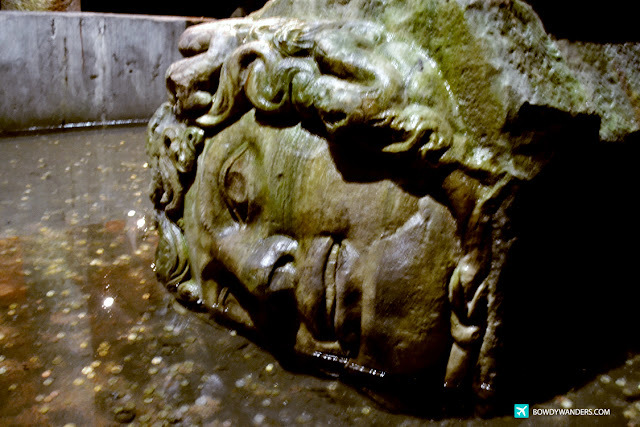 Its history is quite compelling, but the most interesting part for me is finding out that Medusa can be found here. 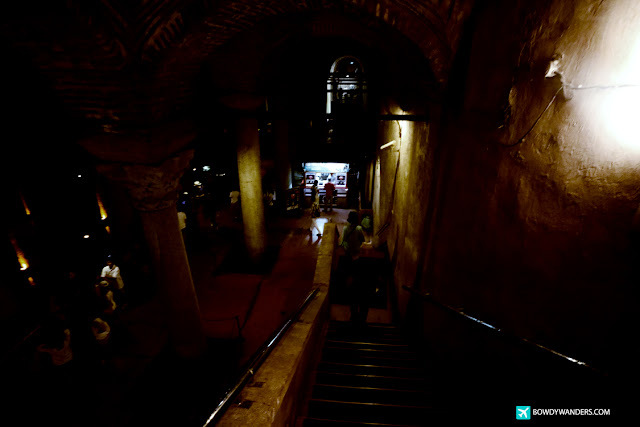 It looks quite fitting, given that this From Russia With Love (1963) movie place is eerie and unusual looking. 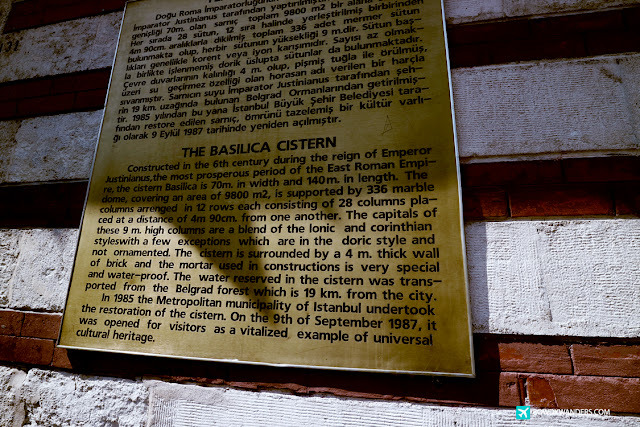 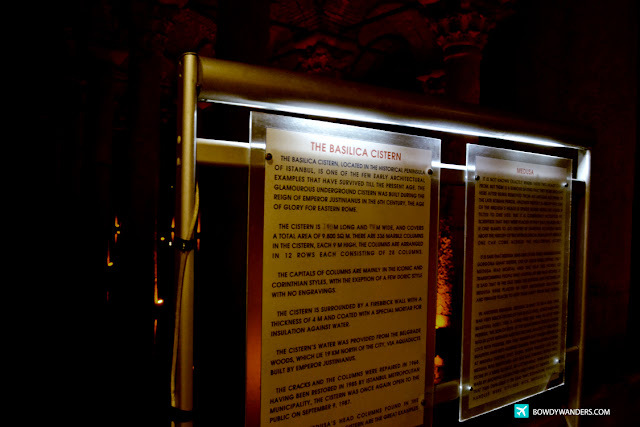 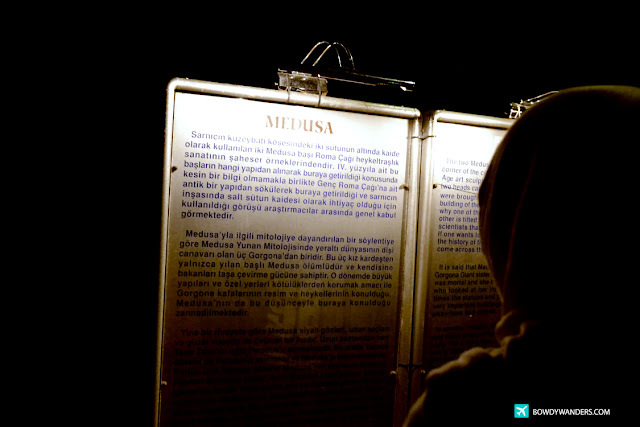 If Medusa was real, she would most likely lived in the Basilica Cistern. 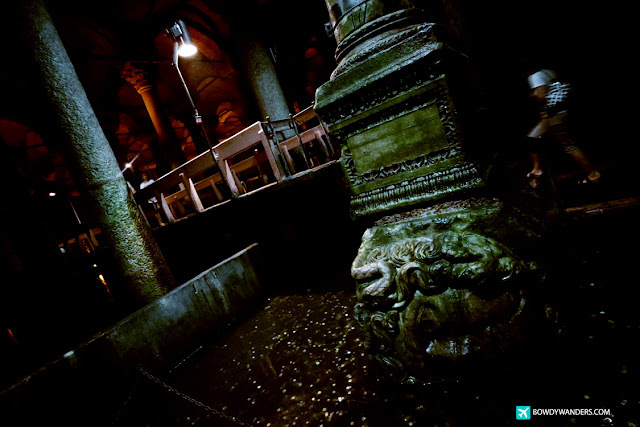 She is this infamous monster, winged human female with living venomous snakes in place of hair. 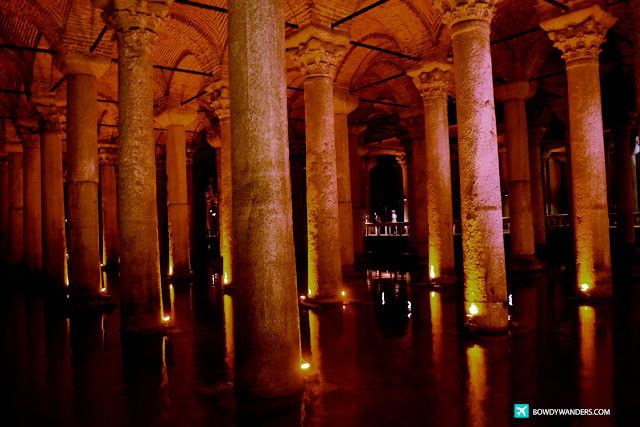 You can just imagine her slithering through the towers and gleaming red water. 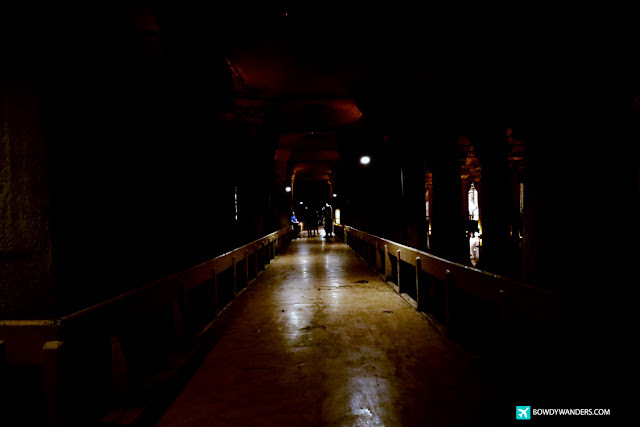 Reality is, she is the most striking head you’ll ever turn your head to look back at, amidst all the eerie marble columns and vaulted ceilings. 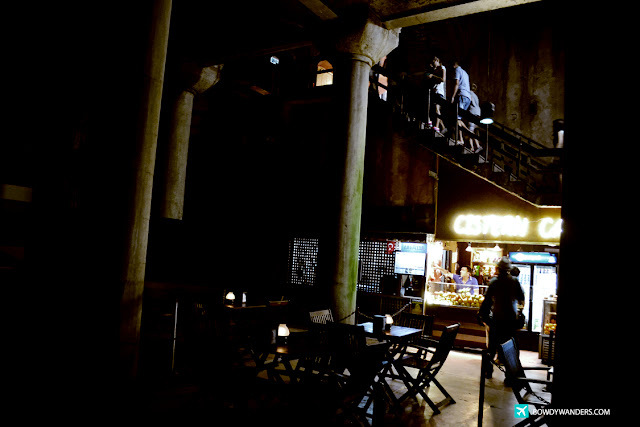 The very dark and damp spooky atmosphere does help to the overall scare fest when you walk along the wooden platforms. 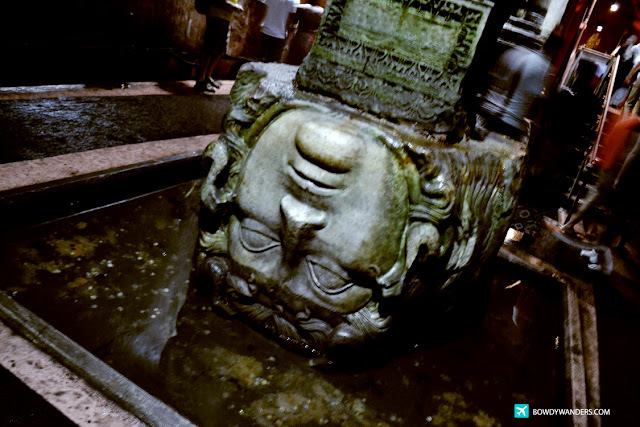 Aside from Medusa’s upside down head, which they say is a bold statement from Christians about their faith, there are some other mini-activities you can do when you walk around the area. 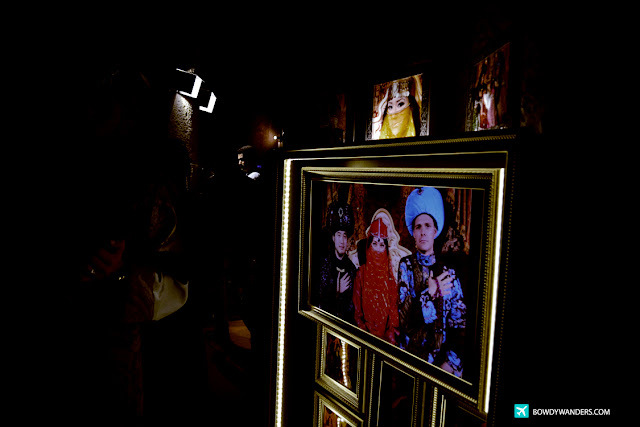 After available the tickets and paying for the entrance fee, you can actually go and have your photos taken wearing traditional Turkish royalty costumes. 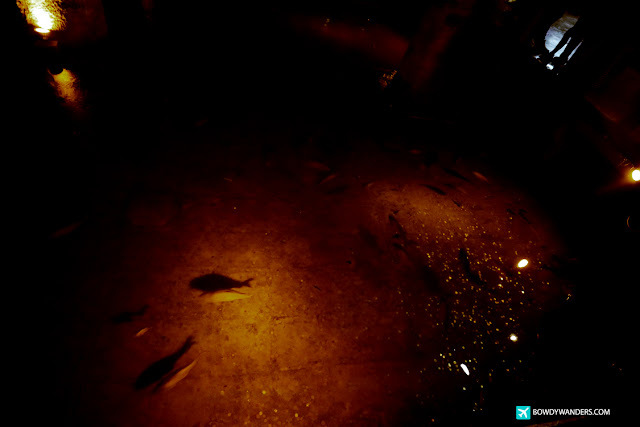 Likewise, you can throw in some coins for luck and even search for the fishes lurking around the mildly murky waters. 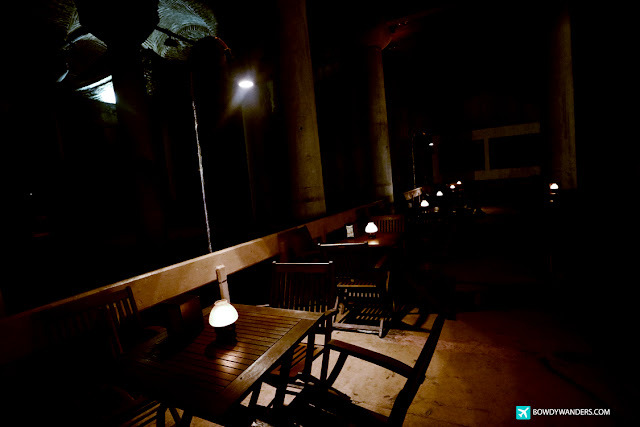 Lastly, you can enjoy the cafe just before exiting the place. 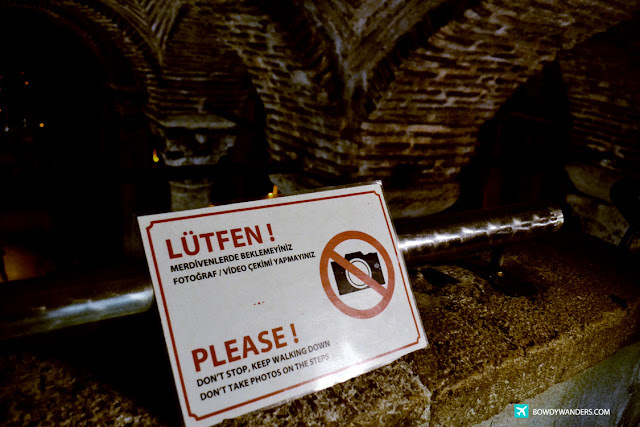 Interesting enough, they even used this area before for some concerts and local events, so you may want to watch out for that too. 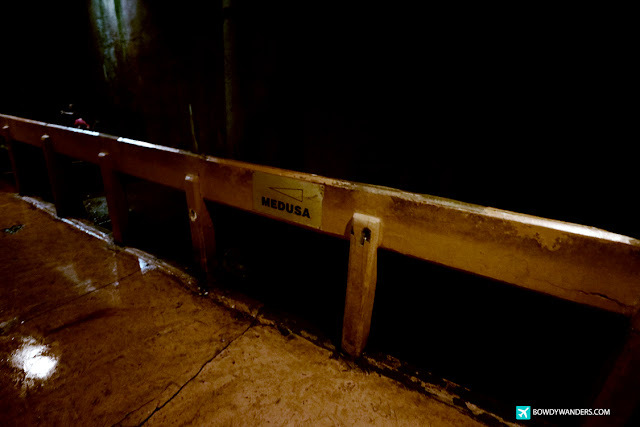 Now the big question is: Did Medusa do a good job here when it comes to attracting people, yes? 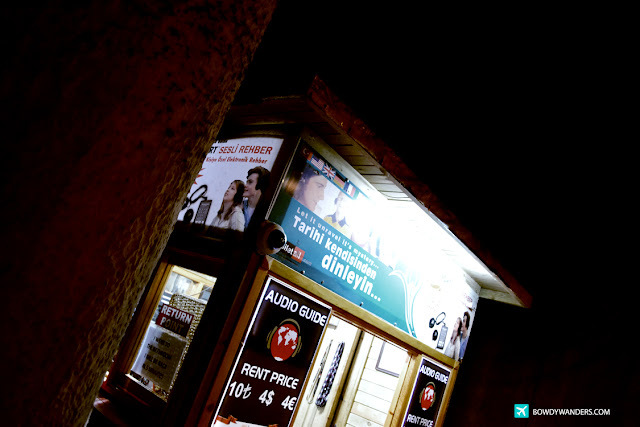 Opening Hours: Daily 9:00 A.M. – 5:30 P.M.